So 2 movies immediately sprung to my mind for this challenge... To Wong Foo, Thanks For Everything, Julie Newmar and The Pajama Game. Maybe not the most conventional chick flicks but they're my kinda movies. To Wong Foo stars Wesley Snipes, Patrick Swayze (RIP) and John Leguizamo as three drag queens (yes you read that right) travelling across country. But when their car breaks down in a small down they get more than they bargained for. I love this movie and it always makes me lol. 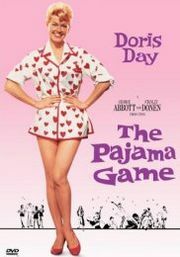 The Pajama Game is my favourite Doris Day movies! Doris stars as Babe Williams a Union Rep in a Pajama making factory and when a new foreman starts she finds herself falling in love with him. I love a good musical and this is just that! I actually used this as inspiration for my tattoo. 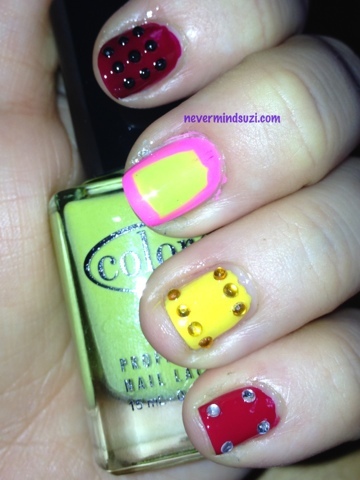 I don't know which style I prefer! They are both fantastic!! OMG, Wong Foo is one of my favorite movies!!! 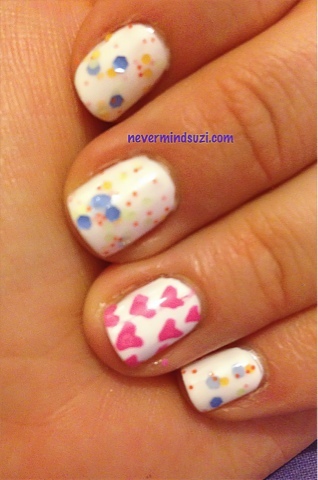 Perfect nail representation! I love Too Wong Foo!!! !